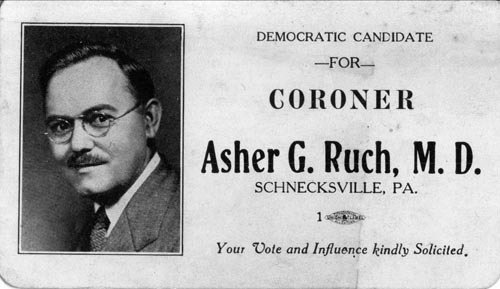 Democratic Candidate for Coroner, Asher G. Ruch, M. D., Schnecksville, PA. Your Vote and Influence kindly Solicited. Are you looking for RUCH ancestors? If so, we suggest posting a query to our Community Message Board to get assistance from other researchers.